Designed by architect L. A. Desy and constructed in 1883 for Joseph-Edouard Cauchon, Manitoba’s first francophone Lieutenant Governor, the building was intended to be a commercial building but an economic slowdown made it difficult for Cauchon to rent out space, and he was eventually forced to sell it to a new owner, who converted the Empire into the city’s first apartment block. 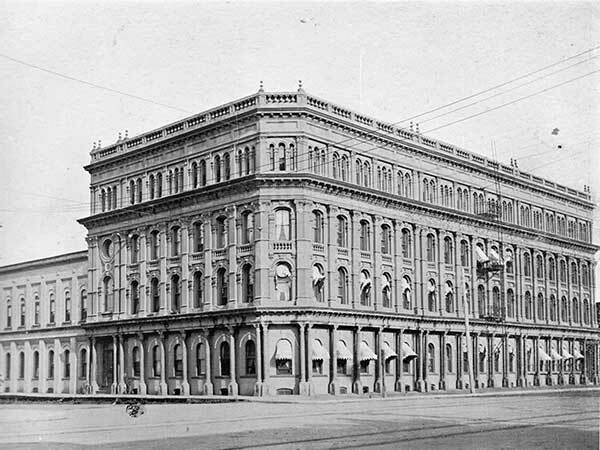 In 1896, after a fire, the building was extensively renovated to become the Assiniboine Block, Winnipeg’s first apartment block. 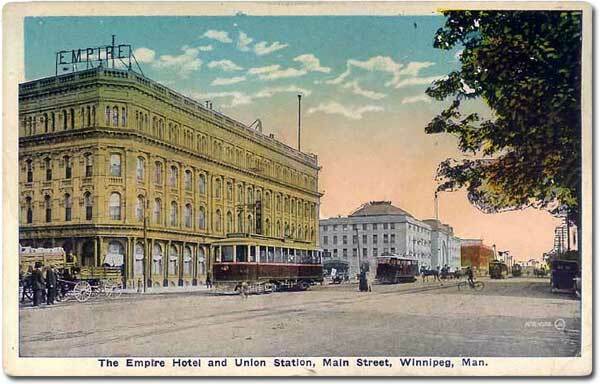 It was again transformed in 1904-1905, under the supervision of architect Alexander D. Melville, into its longest-standing incarnation, the Empire Hotel, after the Canadian Northern Railway’s main line and yards were established at the rear of the site. In 1974, Great West Life Assurance Company purchased the building and an adjoining lot. After a feasibility study found the building too costly to renovate, parts of its unique metal facade were removed and the rest was demolished in 1982. The facade was reconstructed in the Franco-Manitoban Cultural Centre. 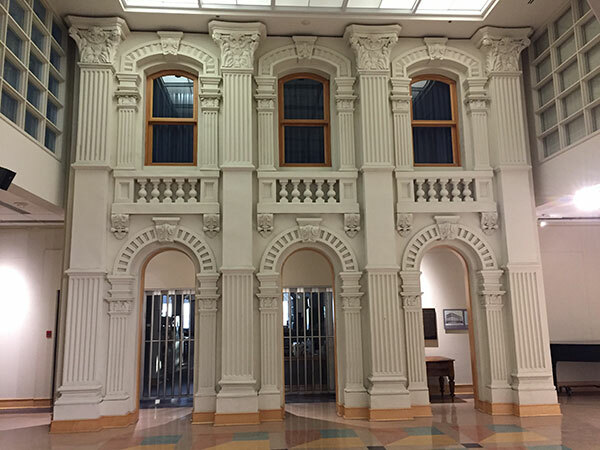 For this, the St. Boniface Historical Society and Corbett Cibinel Architects were given a Heritage Winnipeg Conservation Award in 2000. Empire Hotel Facade Remnants, Manitoba Historic Resources Branch. Glines House / Tremblay Apartments (55 Hargrave Street), City of Winnipeg Historical Buildings Committee, July 1989. We thank Rob McInnes for providing additional information used here.